solara offer a wide range of cleaning agents for household use. Shop their cleaning product category and save 10% until 29.04.2019. 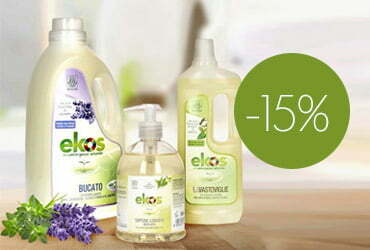 Botanical tensides and synthetic-free formulas are what makes up the basis of the ekos household cleaners' collection. Save 15% on the entire assortment until 29.04.2019.
beeta uses high-performance raw materials to ensure your home is squeaky clean! 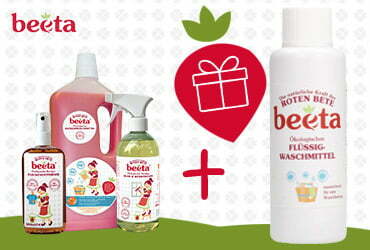 Score a FREE Liquid Laundry Detergent (50 ml) when placing a beeta order valued at only €9.99+. Only while stocks last. The Canadian brand ATTITUDE produces high-quality & eco-friendly cleaning products while promoting responsible consumer behaviour. 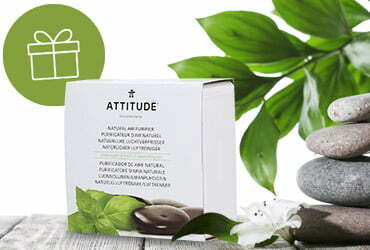 Receive a FREE Air Freshener when you spend €30+ on their assortment. Only while stocks last. BIOPURO proudly manufactures household cleaners that are safe to use. 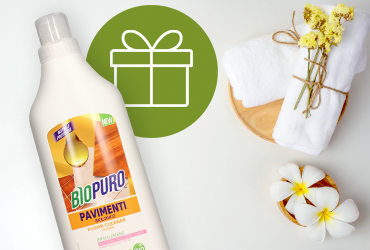 Bag a FREE Flax & Walnut Oil Floor Cleaner (full size) when placing a €19.99+ BIOPURO order! Only while stocks last! The family-owned brand UNI-SAPON has been producing natural cleaners since 1979. Get your FREE Concentrated Laundry Detergent when spending €24.99 or more on their collection. While stocks last. Have you browsed our weekly deals? Shop selected offers at affordable prices!